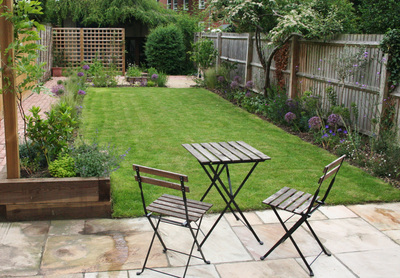 The owners of this house had very busy lives, both commuting to work during the week, and the state of the garden had remained unchanged since they had moved in, which meant they rarely used it. 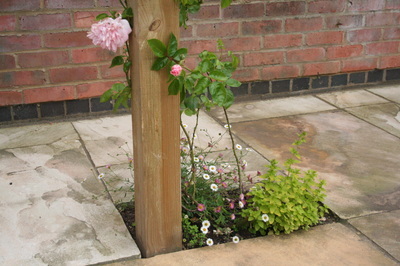 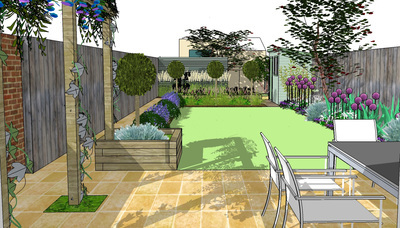 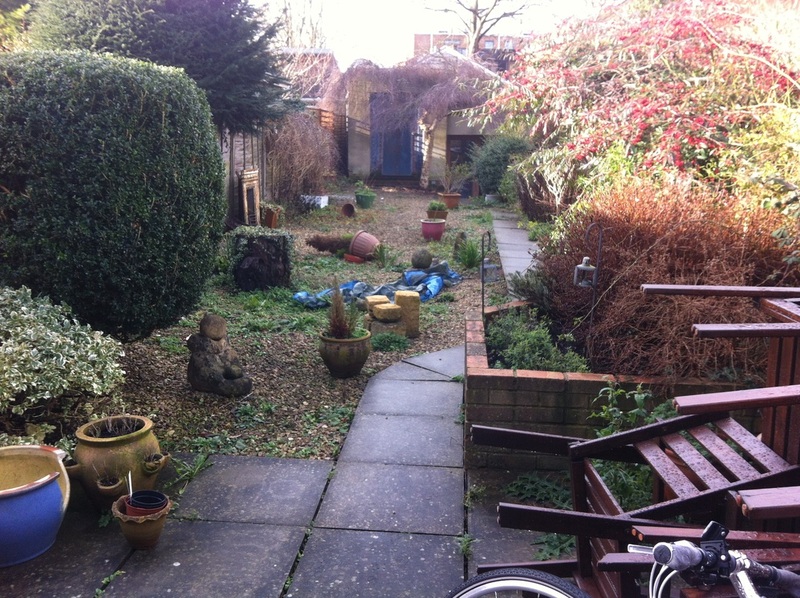 We discussed possible options and came up with a solution which gave them minimal maintenance, but also a large patio to sit out and enjoy the evening sun, a small lawn, some simple flower beds and a small area for growing herbs and soft fruit. 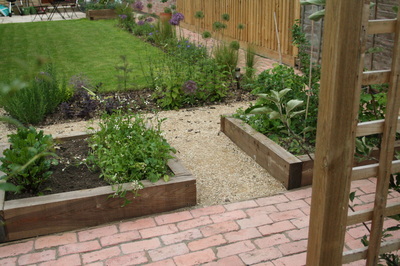 The new structure of the garden means it is easy to look after, and also attractive to look at from the kitchen window. 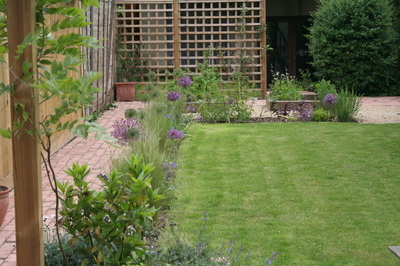 ........And AFTER the design, landscaping & planting - quite a difference!